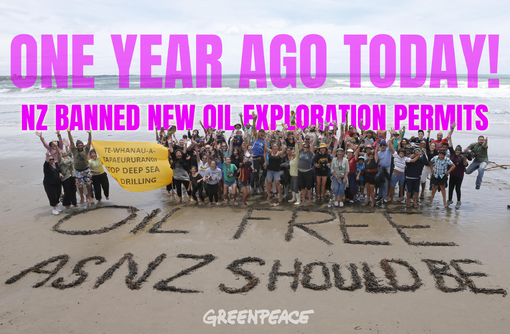 Greenpeace is congratulating the Coalition Government for introducing an amendment to the Crown Minerals Act to bring the ban on new offshore oil and gas permits into law. Greenpeace Executive Director, Dr Russel Norman, says the move shows the Government is taking its climate change responsibilities seriously. “The science says that we can’t afford to burn most of the known fossil fuels reserves if we are to avoid climate catastrophe, and so the Government should be congratulated for calling time on new oil exploration here,” he says. “The recent super storms we’ve seen in North America and East Asia are just the latest reminder that we are pushing the planet’s climate to an extreme new state that will be dangerous for all humankind. “We are disappointed that the Ministry of Business Innovation and Employment (MBIE), aka the Ministry of Oil, is opposing this amendment. They’re essentially operating as the ‘enemy within’ by working with the oil industry to stop progress on climate change. “The Regulatory Impact Statement that MBIE produced to go with the amendment bill could have been written by the oil industry. MBIE hasn’t considered the economic and human consequences of climate catastrophe in their benefits and costs analysis – just like the oil industry they serve. Millions will die and whole cities will be flooded by climate change but MBIE does not even consider these human and economic costs. “We need to get with the times and urgently make a just transition away from dirty energy. Last week, Greenpeace released a plan to roll out solar panels and batteries to half a million New Zealand homes over the next 10 years. Norman says there are a number of other issues that should now be included in the Government’s new bill. 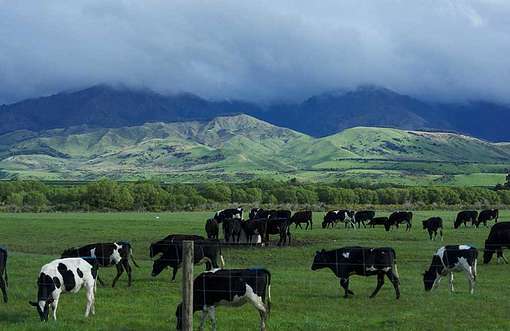 These include onshore Taranaki being encompassed by the ban, and all existing exploration permits held by oil and gas companies being cancelled. Greenpeace is also calling for the controversial Anadarko Amendment, which criminalises protest at sea, to be scrapped. The amendment was rushed into the Crown Minerals Act in 2013 without public notification or a Bill of Rights assessment. “The purpose of the Crown Minerals Act must be changed to recognise environmental limits, especially climate change,” Norman says. 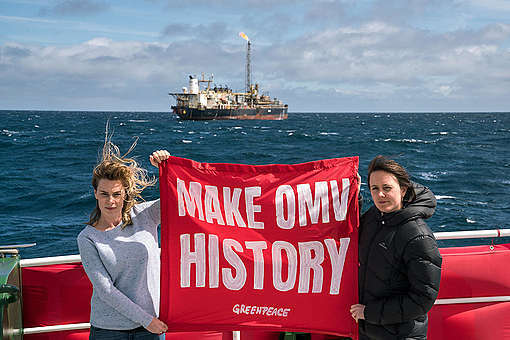 On Friday, Norman and climate activist, Sara Howell, were discharged without conviction by the Napier District Court for action they took in April 2017 to stop the world’s largest oil exploration ship from searching for oil and gas in New Zealand’s sea bed. They were the first people ever to be charged under the Anadarko Amendment. The Greenpeace flagship, Rainbow Warrior, is right now arriving into Wellington Harbour as part of a tour to celebrate New Zealand’s recent ban on new offshore oil exploration, and to promote clean energy opportunities.